What do you guys think about the necessity of full rain gear (in late July). I have an Arcteryx shell, but wondering if rain pants are a necessity. And if so, any affordable recommendations? mfster wrote: What do you guys think about the necessity of full rain gear (in late July). I have an Arcteryx shell, but wondering if rain pants are a necessity. I would bring rain pants along on your trip---just in case. 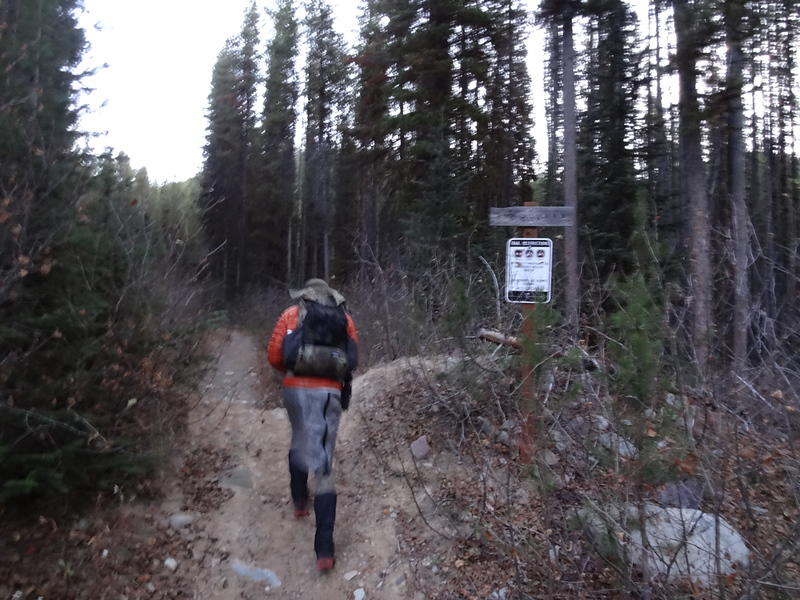 After you get here and see what the weather will be like for your backcountry trip, you can decide whether to carry them or not. Rain pants are nice early in the morning if your hiking on an overgrown trail that's wet with dew or previous rain. The difficulty is that most rain pants, especially the cheaper ones do not breath at all---and you wind up wet anyway from sweating in them. So it's a judgement call on your part. If it's warm(ish), and the rain isn't wind driven, I just get wet and don't worry about it. If the weather looks to be cool, or cold, I would definitely carry them. Hypothermia is always a hazard if you get wet in cool/cold weather. And yeah, it can be pretty chilly in late July, actually it can be cold anytime around here. As for brands, I have some White Sierra that have held up ok. Very light and packable at about 9oz. I also have a pair of Patagonia that are much better made but slightly heavier I use when I believe it'll be colder and/or nastier, windy rain. I like gaiters too. Keeps my boots and pants drier and cleaner on muddy trails. I'm thinking about trying a Rain Kilt this year.. Its basically just a rectangular piece of waterproof fabric with a velcro waist band. Easy on, easy off; and if you have gaiters, you're pretty much covered..
You can even make them yourself, at least the you-tube videos look pretty easy. I've never worn one, but I think it would be worth a try.. Otherwise I have a pretty light pair of rain pants, and a pair of light rain chaps, I usually bring one of the other when backpacking. I've only rarely had to use them, but its better to have them and not use them than need them and not have them.. But, I'm like Pete, my first line of defense is to not go out in the rain!! Matt's post jogged my memory! A friend of mine wore his "rain kilt" over some medium/heavy "long underwear" when we hiked up to Mt Hefty on a chilly October morning. Here's a bad picture of him wearing his rain kilt. He had on gaiters. Later when it warmed up he took the kilt and gaiters off. 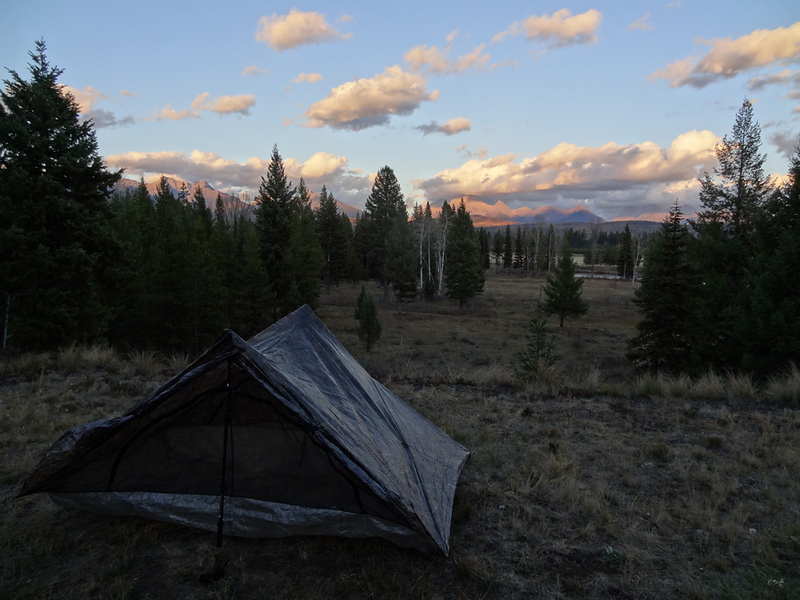 His backpack is also from Zpacks...as well as the tent pictured below. Good gear and very light. Last edited by PeteE on Tue May 15, 2018 9:05 pm, edited 1 time in total. I don't like taking chances with ending up cold and wet. I also don't like carrying extra weight. My favorite "insurance policy" rain pants are the Montane Minimus pants. They weigh about 5.5 ounces and they're the most comfortable and breathable rain pants I've ever used. They're not built for bushwacking in heavy brush, but they're great for keeping me dry on the trail in three seasons. And they're light enough that I don't mind having them in my pack when the rain doesn't materialize. At $140 retail, I wouldn't consider them affordable, but I managed to find mine for $80 in a Facebook gear swap group. With a sale and a coupon, they might be a possibility. Note: The Montane Minimus pants run small - order up one size. I always take a rain jacket on a backcountry trip. It helps as a wind breaker as well as keeping me dry in a rain storm. A few years ago I ran into some rough weather in August. I saw in forecast before my trip that there was a good chance of rain so I went out to Kalispell and bought some rain pants. I was really glad I did because camp was cold and wet (temps in the 30s). I really needed those rain pants! Thanks for all the advice, this is very helpful!! Sounds like rain pants (or kilts!) are a necessity. Your recommendations all look good so I guess I'll have to think on this. I always have rain gear for multiple night trips. The only time I did not bring my gear was a single night overnight at Cracker Lake where the possibility of rain was 0% that night and the next day. I am unclear if the original question was pertaining to backcountry hiking or day hiking. For overnight hikes it would be best to be cautious and have some rain gear. For day hikes, as long as the weather appears decent (and the weather report is decent) I usually pack quite light and do not carry rain gear. Perhaps I have lived a charmed life so far but I can think of only two day hikes in Glacier where the weather turned unexpectedly bad and in those instances we just hiked out. In an overnight we would have been miserable in those conditions, but on a day hike we survived quite well. If the weather is bad we just don't hike that day and spend the day in Whitefish, Kalispell, Browning or Waterton instead. I realize that some do want to hike rain or shine and they will have to assess their priorities accordingly. A word of caution about "packing light on a nice day". It's been my observation that many people don't have the first clue when it comes to weather. There are times when the weather will look perfectly innocuous in the morning, especially on the East side. Trouble is that a fast moving afternoon Tstorm( or front) approaching from the west (common for around here) won't won't be noticed until it's too late. IF...the morning sky is clear due to a big high pressure system in place, and forecast to remain inplace, over the area, then going "light" is relatively safe. Weather forecasts are posted in the park in most places including hotels and lodges. It's a good idea to check them out. Or go to NOAA National Weather Service website. I agree with both Pete and Lyman!! The weather can change fast. But there are also a lot of days and hikes where your pretty safe leaving the rain gear behind. part it will just mean a miserable hike out, but anytime after late August that downpour could turn to a snow flurry and the miserable hike out could turn to a potential hypothermia situation. I tend to err on the side of caution, and usually at least carry a light rain jacket on most all day hikes. had rolled through and the sun was back out. By the time I got back to my camp at Rising Sun it was really hard to tell that it had ever rained..
llholmes1948 wrote: I am unclear if the original question was pertaining to backcountry hiking or day hiking. For overnight hikes it would be best to be cautious and have some rain gear. For day hikes, as long as the weather appears decent (and the weather report is decent) I usually pack quite light and do not carry rain gear. Perhaps I have lived a charmed life so far but I can think of only two day hikes in Glacier where the weather turned unexpectedly bad and in those instances we just hiked out. In an overnight we would have been miserable in those conditions, but on a day hike we survived quite well. Should have been more specific. The question was about a multiday trip in the backcountry (four nights). And because of permits we don't really have an option to wait until weather clears up! A rain jacket is permanently in my day pack. I might pull it out if I'm doing a short hike with a lot of photo gear. We had a day off to do laundry and rest up. After laundry, we started buttoning up the campsite because it started looking like rain. A ranger came around and said there were 50 mph winds on the west side. We had lunch in the restaurant at MG and watched people get chased out of the woods by a heavy downpour (cold rain) and wind. I was surprised how many people came running by the windows with no rain gear and it had to be a miserable hike out. And like Jay, I don't go on a dayhike without my rain jacket. August 2014, on the way back from taking some chatter friends to the Dragon's Tail, we got caught in a short, but violent T-Storm. All hell broke loose with rain, hail, 30-40mph wind, continuous lightening and instant thunder. We were traversing the last few hundred yards of the "un-named ridge" to the Hidden Lake trail. I'll put in a word here for rain gear with a robust hood, and a good stiff brim. Most of the people on the Hidden Lake trail were dressed lightly and had no rain gear, no nothing. Temperature dropped 20+ degrees in minutes with the big wind. My friend "Dino" and I pretty much carried an old guy who was 90+ the last 200 yards down the boardwalk. He had become separated from his "companion/aid". He was wearing cotton shorts and t-shirt and was soaked. He was obviously cold, getting a bit confused, and shivering. The only reason he didn't go hypothermic was we weren't far from the visitor center where they got him warmed up promptly. So yeah, I wouldn't go out on a day hike without my rain jacket. And rain pants on a multi day trip. Good for you Pete. BTW, Julie has a book for you. A character in the book is getting a PhD studying crow relationships.